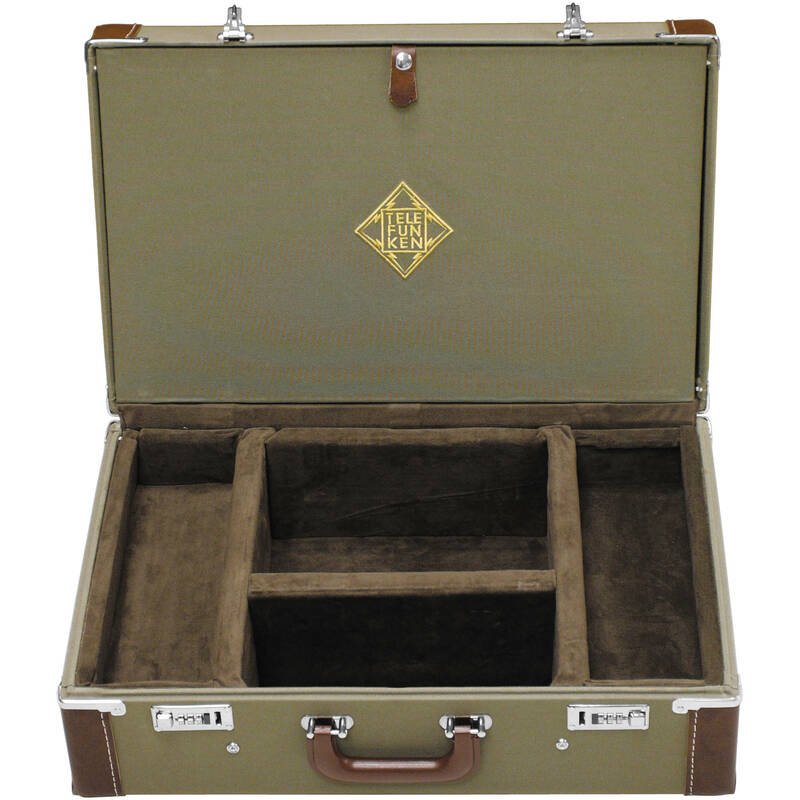 The Combination Locking Flight Case for two C12, R-F-T Stereo Set or SS Bottle Microphones from Telefunken is dedicated to hold any two of these microphones, a power supply capable of powering both microphones, two elastic shock mounts, and mic boxes. The interior features individualized compartments for the components. The case is made with a Cordura nylon exterior, microfiber interior lining and vinyl trim. Security is maintained via two combination locks and snap locks that keep the case shut. Portability is via a top carry handle.